Elevate your social media strategy this year. Using WordPress social media plugins, you can integrate website content with your social networks, increase your reach by adding social share buttons to your site, streamline your feeds, and much more. In this article, we will look at some of the best WordPress social media plugins for social sharing, auto-posting, feeds for Facebook, Twitter, Instagram, and YouTube, and social media instant messaging widgets. Add social share buttons, followers counters, subscribe forms, and live chat functionality to your site with this WordPress social media plugin. One of the most powerful social media packs for WordPress, this plugin offers you total flexibility. With more than 55 templates, automatic display triggers, and full integration across the most popular social networks, you get everything you need to boost your shares, increase your followers, and grow your mailing list in a single plugin. Increase your social reach and follower count by making the content on your website shareable with this WordPress social media share plugin. Using this plugin, visitors can share your website content on twenty major social media sites including Facebook, Twitter, LinkedIn, Pinterest, Reddit, and Tumblr. 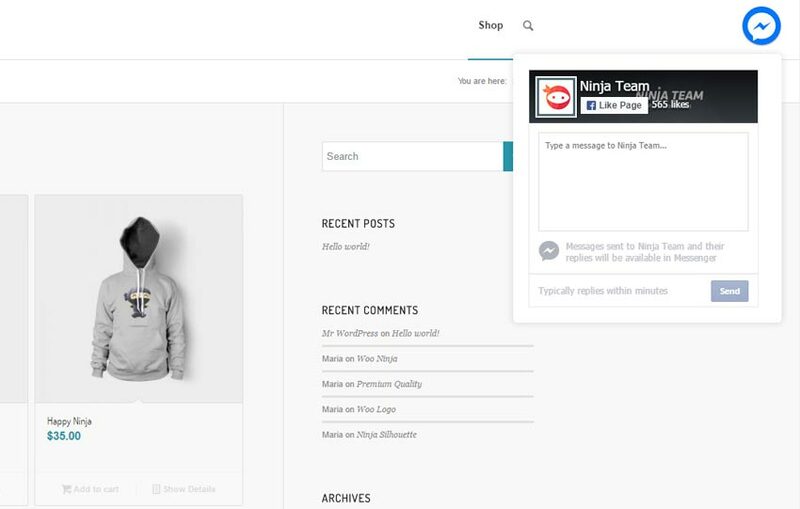 Twenty fully responsive themes, CSS3 animations, fast loading, and a drag-and-drop user interface make it easy to integrate social sharing in your WordPress site. This WordPress social media plugin lets you combine feeds from 16 sources—including popular social sites like Facebook, Twitter, Instagram, and YouTube—into responsive walls or galleries, so news, photos, videos, and reviews can all be integrated into the same stream. Smart caching means this plugin delivers your stream content without lags, which is especially important when you are pulling from multiple networks. Beautiful templates, hover animation, and lightbox functionality round out this plugin. Combine all of your social networking activity into a single stream. With this WordPress social media plugin, you can create a social media stream from an unlimited number of public Twitter accounts, your own Facebook and Instagram accounts, and other social networks. Visitors can share your posts with their followers, interact directly with your Twitter content, and filter your stream by social network. With six display formats and customizable CSS stylesheets, you have the power to create a unique social stream for your WordPress site. Increase your social reach by integrating your Twitter account with your WordPress site. This WordPress Twitter plugin can fetch tweets from any account and display them on your site in a variety of possible layouts. 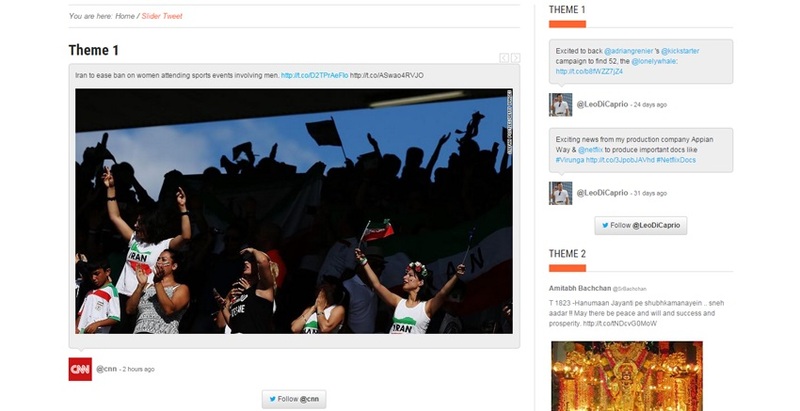 This plugin offers support for multiple Twitter accounts in the same feed. With twelve templates to choose from and easy setup and configuration, you will have this plugin up and running in seconds. Create YouTube playlists on your website by selecting from channels and individual videos. Embed a single video, or share share unlimited videos on your site with this plugin, simply by inserting the URL source—over 100 parameters give you endless flexibility. Sort videos or have them play randomly, divide content in custom groups, and adjust the video player’s size, layout, and play format to your preference. This plugin is fully responsive and comes with customizable colour-schemes to complement your site. Create galleries for your website with this WordPress social media plugin. Advanced filtering options let you stream from unlimited Instagram sources using any combination of usernames, hashtags, locations, and post URLs. You can also exclude specific photos, usernames, or hashtags from your feed. 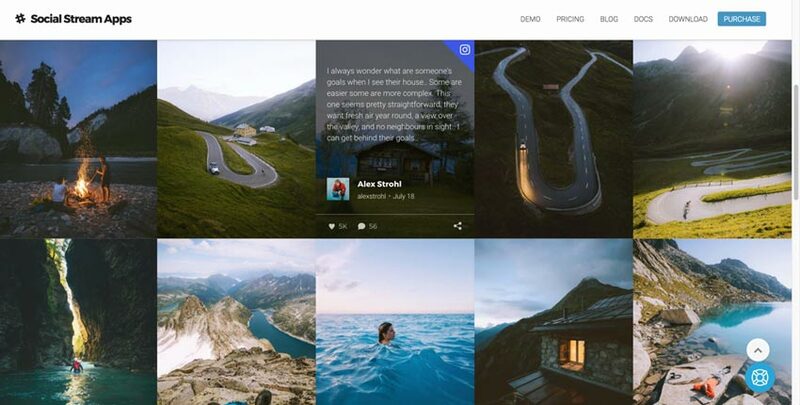 This plugin is fully responsive and mobile-friendly, and you can choose from slider or grid layouts, tile or classic post templates, and multiple colour schemes to create a custom Instagram feed to your existing site. Share your Instagram account and increase your follower count with this WordPress social media plugin. Instalink lets you display images from a specific username or selected hashtags in a simple and attractive widget on your website. Create unlimited galleries, all with different settings, or use this plugin to display your portfolio. User-friendly customization options allow you to create an attractive Instagram gallery for your website. Add Instagram feeds to your blog, posts, and website sidebar with this WordPress social media plugin. With a shortcode or widget, you can display feeds in any location on your website. This plugin supports user feeds, recent media, user likes, popular feeds, and hashtags, so you can customize the content that will appear on your site. With 15 layout options, lightbox functionality, customizable accent colours, and dynamic configuration options, AccessPress Instagram Feed Pro is another superb plugin for adding Instagram content to your website. With this plugin, you can auto post your website content to unlimited social media accounts—an indispensable feature if you are managing multiple Facebook, Twitter, LinkedIn, or Tumblr accounts. With this WordPress social media plugin, you can define which content will auto post by post type and category, and define the format in which your content is posted, either as a snippet or full post. This plugin gives you the power to publish your WordPress posts to all your social media accounts simultaneously. 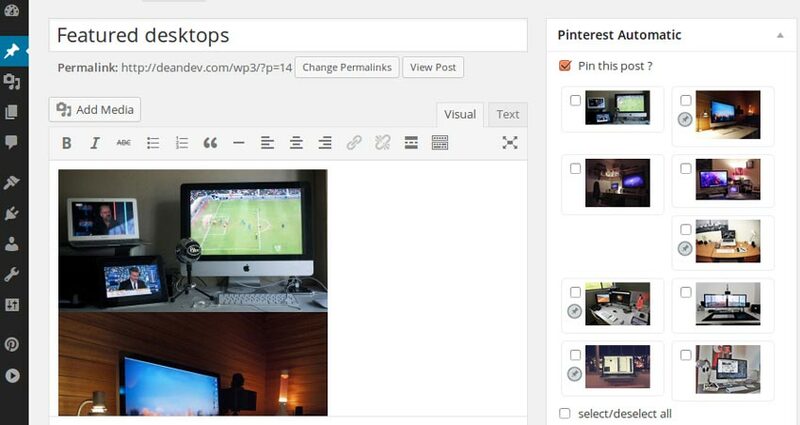 Automatically pin images from your posts with this WordPress social media widget. Pin unlimited numbers of images, queue posts for bulk pinning, set up image and board detection for auto-pinning, and set images to be pinned at random intervals. All pins are automatically linked to your posts, so when a Pinterest user clicks on your pin, they will be redirected to your website. Use this WordPress plugin to auto post to social media sites like Facebook, LinkedIn, Twitter, Tumblr, Pinterest, and more. You can configure this plugin to post new content and repost past content, to make sure all your content reaches its maximum possible audience, and schedule content to post exactly when you want. This WordPress social media plugin is one of the easiest ways to manage, schedule, and share updates on your social media sites—no social media manager required. Let visitors contact you directly through your website with the WordPress Facebook Plugin. Based on Facebook messenger, this plugin creates a Message Us on Facebook button for your website that allows you to chat with your customers in one of the easiest and most effective ways. New notifications come in immediately when you receive a message, so you will never miss an opportunity to connect. No coding skills are required to use this plugin; just enter your Facebook fan page URL in the settings and you are ready to connect. Embed a click-to-chat WhatsApp button on your site, making it easy for your customers to reach out. You can display multiple accounts and set availability for each account so that the widget is hidden when you are not available for live chat. The auto-display feature draws users’ attention to the widget based on triggers such as time delay, inactivity, or scroll length, which can increase customer engagement, and pre-populated icebreaker text helps your customers get the conversation started. Social media integration is an important part of your web presence, for brands, businesses, and individuals. These plugins take the time and effort out of social media strategy by using smart automation, integration, and outreach tools. I hope you have found something that can help make your life easier, or visit CodeCanyon to see even more WordPress social media plugins.